Salomon Kalou has backed his Ivory Coast team-mate as the missing piece of Manuel Pellegrini’s squad to beat Chelsea to the title, reports the Daily Star. Bony looks set to complete a £28m move from Swansea City to Manchester City with a deal having been agreed while the striker prepares for the African Cup of Nations. Kalou has expressed confidence that compatriot Bony will score plenty of goals to see off Mourinho’s men to a second successive Premier League title, and could make the difference as the title race hots up in the second half of the season. “I think he’s a very powerful striker and he knows how to score goals. I think he’s going to add a lot of power for the team and a lot of goals,” the Hertha Berlin forward said. 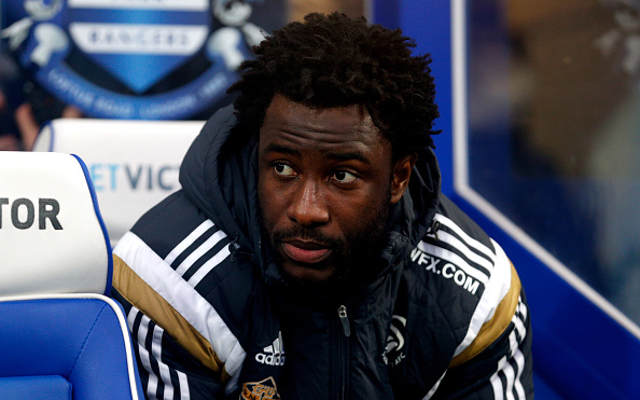 Do you think Bony could make the difference in the title race…?